The CRTC doesn’t want to pick a fight with U2. To those who contacted the telecom regulator about U2’s new album, “Songs of Innocence,” appearing on their iPhone without their knowledge or consent, the CRTC says, well, that’s between you and iTunes. Current anti-spam laws don’t apply to what iTunes and Ireland’s most famous rock band did there. But it’s not so sure if U2’s move would have been legal under new, expanded regulations coming into force in January. The next phase of Canada’s Anti-Spam Legislation (CASL) will require companies to get consumers to opt in whenever that company installs new software on a consumer’s device. 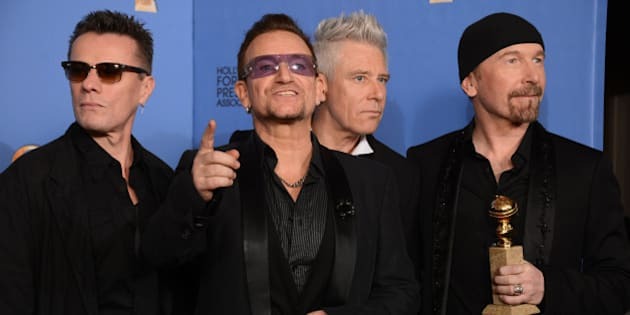 U2’s album was sent to iPhones in the form of a link that would download the song when a user attempted to listen to it. CRTC spokesperson Patricia Valladao said she “couldn’t say” if that was a violation of the new rules not yet in force, but noted that “any installation” on a person’s phone would have to comply with the new CASL rules. Under the new rules, companies must clearly disclose to users if their software could collect personal information, interfere with the normal operation of a computer, alter settings or preferences or data on a computer, or allow a third party to access a computer. Canada’s telecom regulator says it has received “two contacts” from consumers about the U2 album download, but it didn’t log those as official complaints. Valladao noted that the CRTC receives all sorts of calls, and not every one merits an investigation. “We get calls when the weather is bad,” she said. For his part, U2 frontman Bono has apologized to iPhone users for his album’s surprise appearance on their phones. We “might have gotten carried away with ourselves,” he admitted. U2 may want to consider asking for permission next time. At the very least, they’ll skirt the risk of running afoul of Canadian law.